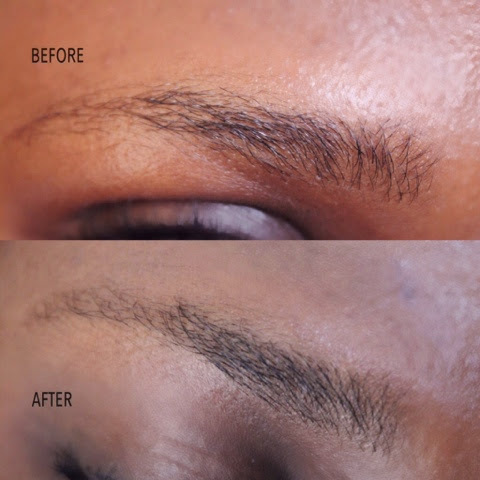 I can't believe I've never made a brow post on this blog before. I guess it's time to change that. 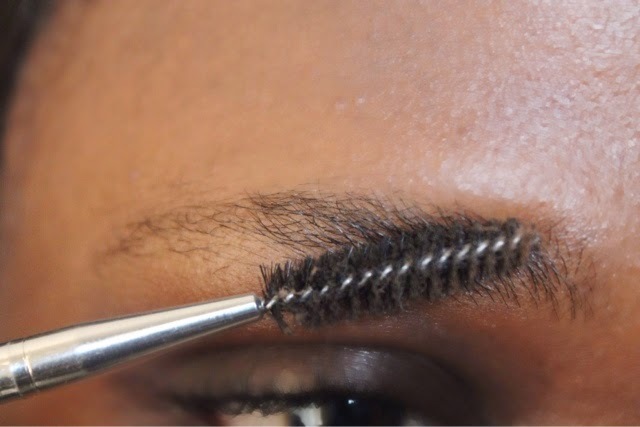 I was about to tweeze my brows and then I decided to show a step by step way of how I do mine. This method is much better and more hygienic than using a blade which could hurt or infect you. I hope it's very explanatory especially for beginners. 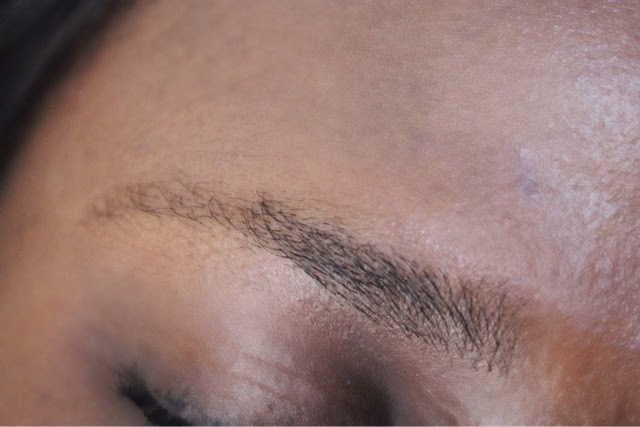 This is the first step to achieving perfect brows so I suggest you sit tight and learn this little technique :D1. Brush your brows with a spooie brush. This will allow you see clearly which hairs are in place and which ones arent. 2. 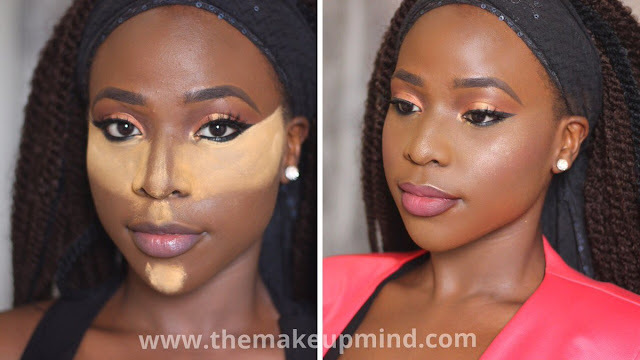 By now, you should have a clear vision of which shape you want your brows to be and the hairs that are out of that shape. 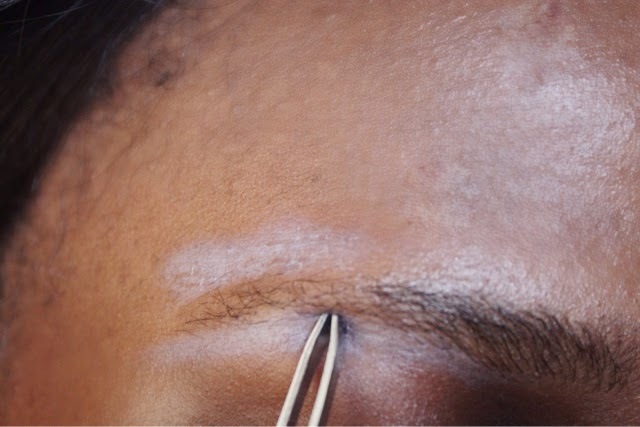 So, apply a white liner (i used nyx jumbo eye pencil in milk) on the hairs that are out of your ideal brow shape. 3. Gently pluck out each hair that is only within the white highlighted area. Also, make sure you pluck each hair in the direction in which it is growing to avoid pain. So, if the hair is growing downwards, you pluck it downwards, if its growing to the left, you pluck it that way. 4. 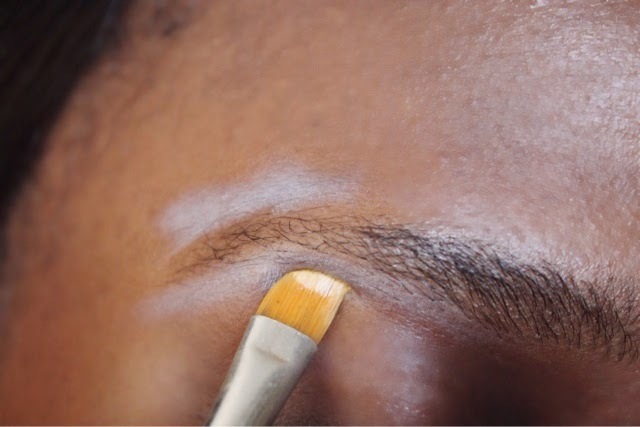 Clean off the white liner and see that you have perfectly tweezed brows without over-plucking them because it can cause some serious brow damage. Thanks for stopping by! i hope you learned a thing or two from this post!